I have just begun the book of Mark. Whoah!! The differences between the two gospels stand out immediately. Have you noticed them as drastically this time, too? Here are a couple of my observations after re-reading the first chapter of Mark. Mark doesn’t have a birth narrative. 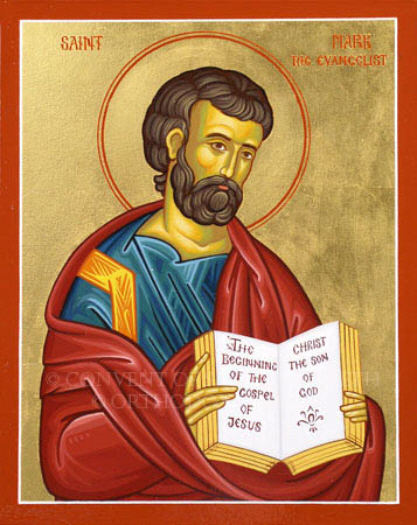 Mark’s gospel assumes that we have already heard of Jesus. He does not spend time building up Jesus’ credibility like the gospel of Matthew. Mark doesn’t spend as much time on details…he gets straight to the point. Because Mark proclaims Jesus’ authority upfront, Jesus jumps right into his ministry of healing. Mark mentions Jesus’ teaching, but we haven’t heard specific lessons yet. Mark is focused so far on Jesus’ healing ministry. We don’t get the whole story at once…i.e. Mark tells about Jesus calling the disciples, but in the first chapter he only names four. We get the rest of the story later. What differences have you noticed so far? What additional differences do you see? What is the significance of these differences? How is the way that Mark portrays Jesus important? How do you feel about the fact that Mark doesn’t give any detail on Jesus’ birth or background? What does this say about Mark’s original audience? There is a lot to think about. Write down your questions as you read through the book of Mark. Notice what is going on within you as you read. Pay attention to the movement of the Spirit through your re-reading of Mark’s gospel.